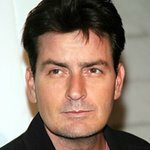 When Charlie Sheen and Brooke Mueller walk down the aisle on May 30, 2008, their guests will not need to bring along a gift – the generous Two and a Half Men star is rejecting presents at his upcoming nuptials in favor of donations to Chrysalis. The couple’s wedding invitations include the request “no gifts, just donations to Chrysalis – an organization in Los Angeles that is dedicatied to changing lives through jobs,” reports the New York Post. Chrysalis provides critical employment services to nearly 2,300 individuals annually through their centers based in the Los Angeles area.